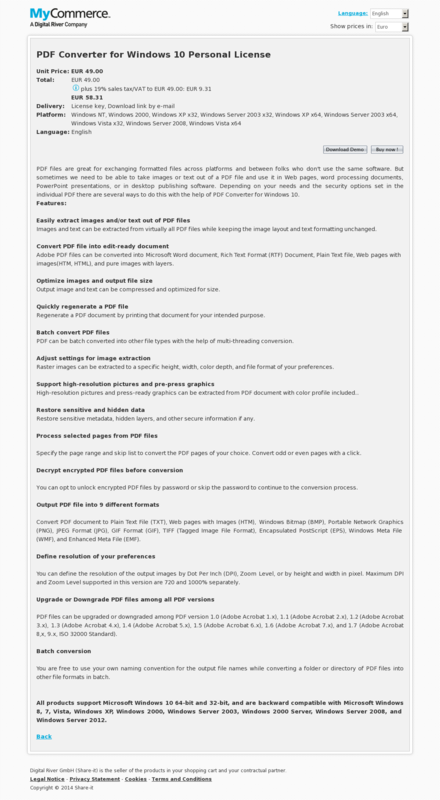 PDF files are great for exchanging formatted files across platforms and between folks who don’t use the same software. But sometimes we need to be able to take images or text out of a PDF file and use it in Web pages, word processing documents, PowerPoint presentations, or in desktop publishing software. Depending on your needs and the security options set in the individual PDF there are several ways to do this with the help of PDF Converter for Windows 10. All products support Microsoft Windows 10 64-bit and 32-bit, and are backward compatible with Microsoft Windows 8, 7, Vista, Windows XP, Windows 2000, Windows Server 2003, Windows 2000 Server, Windows Server 2008, and Windows Server 2012.